Is Paleo all about eggs and bacon? Or is it mostly fruits and vegetables? In this Paleo Diet Food List, you'll be able to know what foods are Paleo or not. If you don't know if it's Paleo or not, you can quickly refer to this list. You can even download a PDF copy of this Paleo Diet Food List in a convenient PDF format. You'll find various meats, fruits, vegetables, nuts and even some cool Paleo dessert hacks (yes, it's Paleo). When you go to the grocery store, buy Paleo and make sure that you have this food list handy. Do you want to try the Paleo or Caveman diet? This comprehensive Paleo Diet Food List will help you learn what foods are allowed on the Paleo diet. You can print or save a copy of this food list and use them the next time you go to the grocery store. Meats – almost all farm and organic meats are Paleo. Stay away from highly-processed meat. Bacon is Paleo. Vegetables – almost all vegetables are Paleo but try to avoid starchy, carb rich vegetables like potatoes. 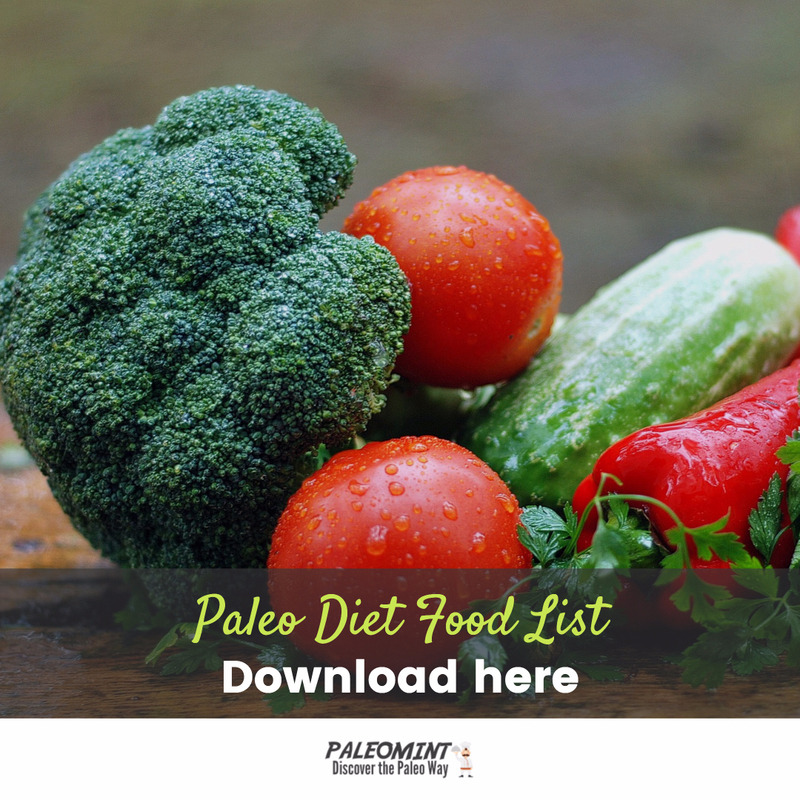 Print this easy to follow Paleo Diet Food List and use it as a reference guide to know whether it's Paleo compatible or NOT.